Starting this week, the United States Citizenship and Immigration Services (USCIS) can now begin deportation proceedings against survivors of domestic violence, human trafficking, and other crimes if their visa petitions are denied. The change is a follow-up from a guidance that USCIS issued over the summer. 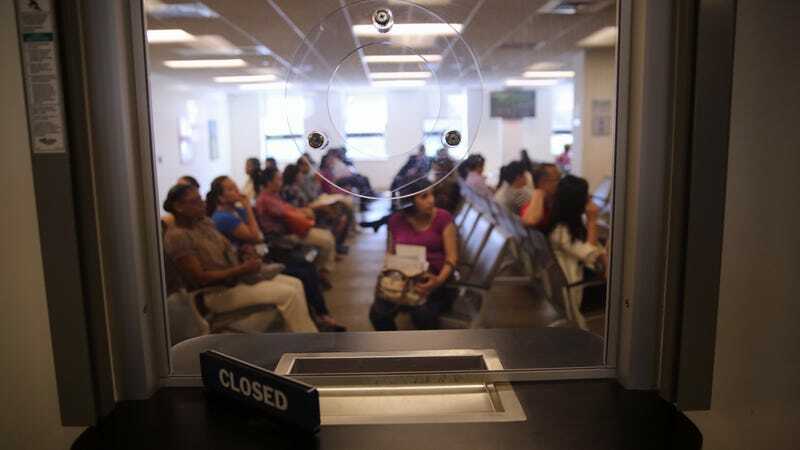 Now, according to an update USCIS released earlier this month, immigrants applying for these two kinds of visas, U and T, as well as three other kinds of humanitarian relief visas, could be more easily placed in deportation proceedings if their applications are denied and they do not have an underlying legal status. In addition to these crime survivors, other groups that would be affected include relatives of asylum seekers, young immigrants requesting the protection of a juvenile court, and women seeking protection under the Violence Against Women Act. Exacerbating the problem for those affected by this policy change is the fact that the processing time for green card petitions under the Violence Against Women Act (a different petition from T and U visas) is three times longer than it was in 2016, according to Rewire.News. That means that many domestic abuse survivors must wait in limbo, sometimes in fear for their safety, for up to two years before they can get any relief. Now there is the added dread that they might be denied their claim and put into deportation proceedings.